I got these cute little samples in the mail and I was so happy to have adult Aveeno products in my life. 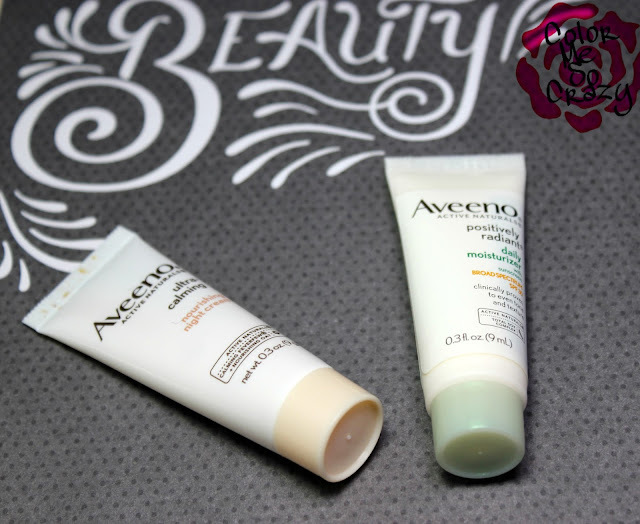 I have used Aveeno all throughout my daughters first 5 years of life. She has very sensitive skin and this was the only brand that would work well with her dry skin and washing needs. 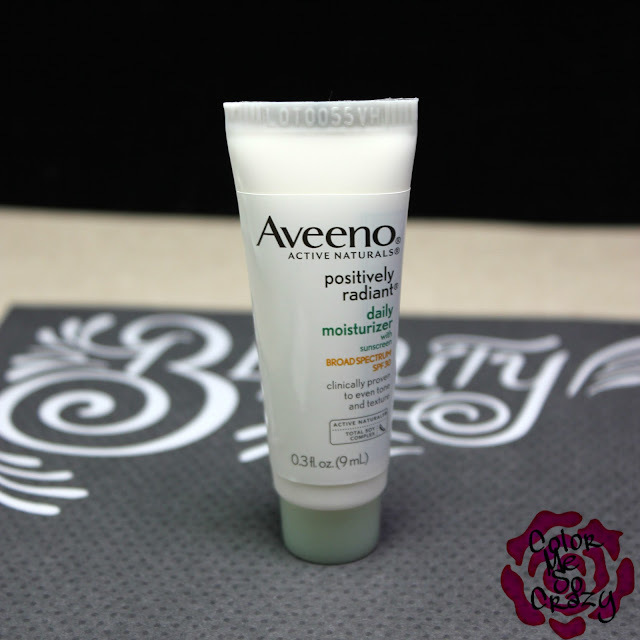 First up is the Positively Radiant Daily Moisturizer. This has a clean, soothing scent and is made with SPF 30. 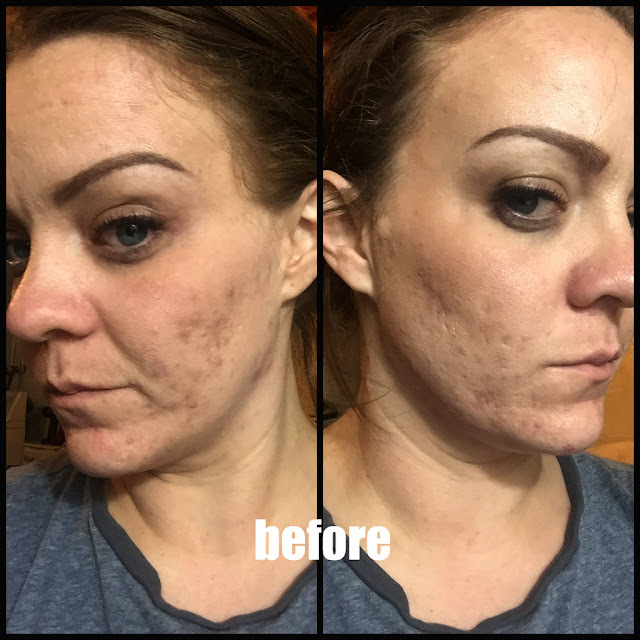 This is clinically proven to even skin tone and texture. I will be bringing this to the beach with me and posting my thoughts live on Snapchat!! The reason this works so well at healing and repairing is because it's active ingredient is Total Soy Complex. Of course, just like other low SPF products, reapply every 2 hours unless you are swimming and then apply with a water resistant sunscreen. The next Aveeno product is the Ultra-Calming Nourishing Night Cream. This one does not have a scent to it but it is ultra rich and moisturizing. The active ingredients are Calming Feverfew and Nourishing Oat. The Feverfew is mostly used for reduction of headaches or fevers but it is used in the Aveeno cream to reduce redness and calm irritated skin. Have you tried either of these? 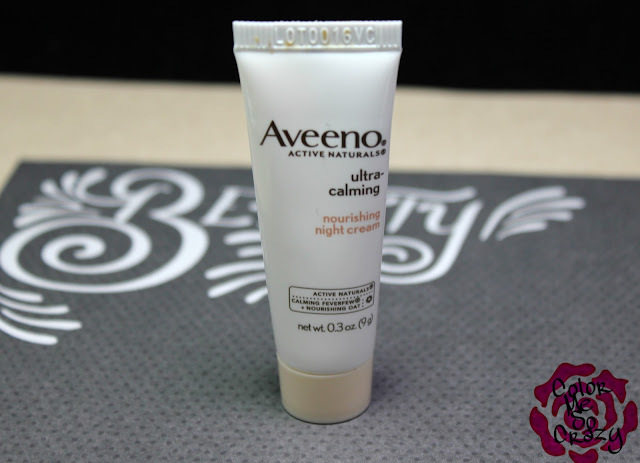 Do you have any Aveeno products in your stash? Which ones?